In this keynote speech, John covers how we stand and face the future and particularly the wicked problems – greater uncertainty, turmoil, disruption, wicked problems, the gap between generations, accelerating technology, changing definition of nation states in a time of globalization, super-empowered individuals who upset the playing field, non-linearity, income inequality and on and on. Living and working in an era of hyper-disruption. The dinosaurs will perish, the new mammalian forms will survive. 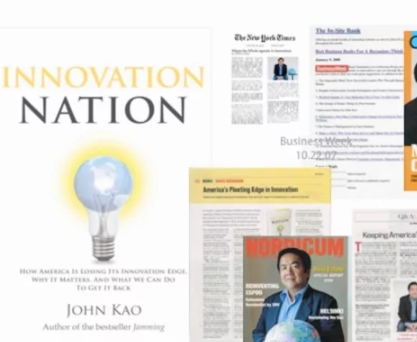 In this speech, John Kao serves up a revolutionary view on the “how” of innovation, where it is defined not only as a brainstorm-to- blueprint process, but by results based on discipline and practice. He will challenge you to take your innovation agenda to a new level of practicality and results. Who is the most interesting man in the world? 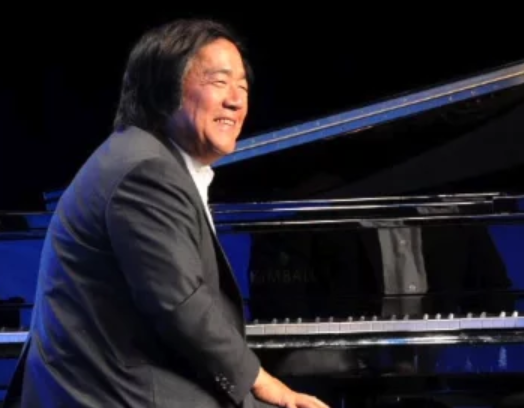 Maybe John Kao! 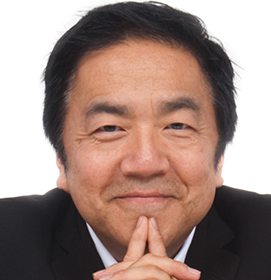 John Kao is the Founder, Chairman and CEO, EdgeMakers and Chairman of the Institute for Large Scale Innovation. The common thread is creativity — he can see things across industries that are all over the place and because of that he’s got the ability to add value and bring fresh (smart) eyes to all kinds of problems. Dubbed “Mr. 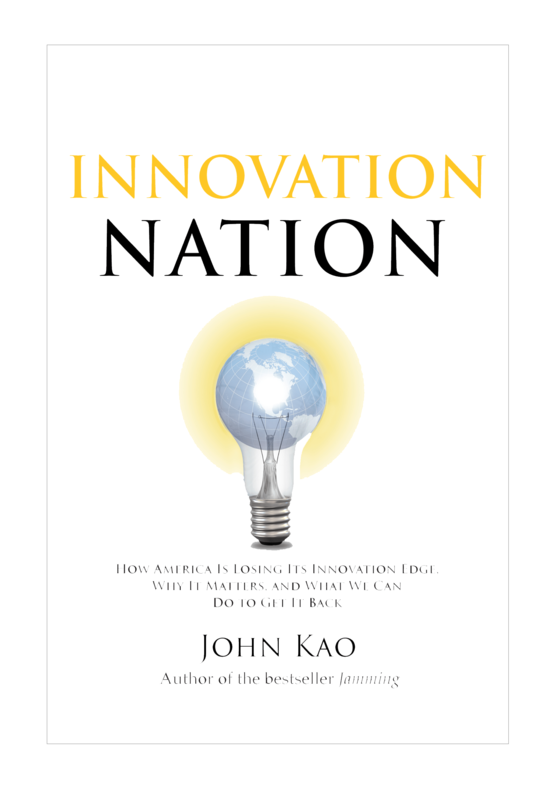 Creativity” and "a serial innovator” by The Economist, John Kao is a leading authority on innovation, business creativity, organizational transformation and emerging technologies. John has been a trusted advisor to senior leaders of both public and private sector organizations. 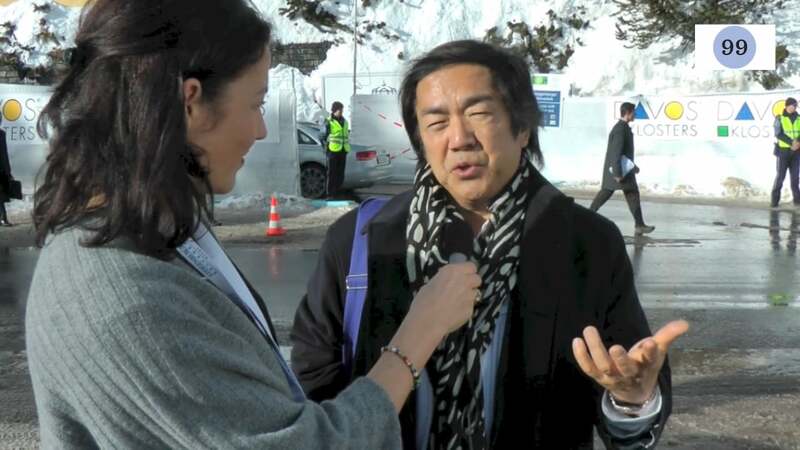 He has advised the governments of Finland and Singapore on their innovation strategies as well as leading firms such as Nike, Intel, and BASF. 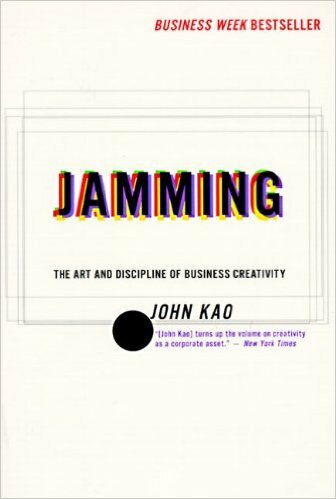 Kao’s thought leadership is expressed in his books: Jamming: The Art and Discipline of Business Creativity, a BusinessWeek best-seller that has been published in a dozen languages; and Innovation Nation, which sounds the alarm about America's growing innovation challenge. He has published three e-books: The Future is Yours to Invent, Are You a Producer?, and Clearing the Mind for Creativity. Honorary Vice President of Arts and Business in the U.K.
“Thank you for making our opening event a huge success and a truly groundbreaking event for the Design Council. We have received some overwhelming feedback from some of the guests at the IMAX as well as from those who were listening in the regions and in cyberspace, including: 'I feel as if I've learned new ways of valuing business this morning;' 'Design has moved upstream and become more core business;' 'There's a new emerging type of company and it doesn't buy creativity, it is creative itself.' It has been a great privilege to have worked with you and I hope to have the opportunity of doing so again in the future." "Our Tiffany Merchandising Conference was terrific and your opening presentation contributed enormously to its success. The group is still talking and thinking about the experience! Many of the conference participants also expressed interest in having you participate in a real problem solving situation, which we can do in a workshop environment." "Thank you for helping ASTD make our International Conference and Exposition in Denver such a success. We had over 9,000 people in attendance - an energized group of leaders who came together to learn from the best. 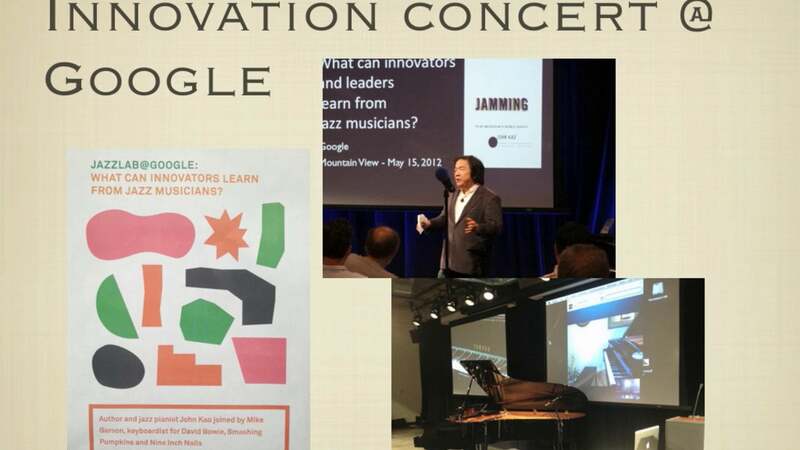 Your message on the art and discipline of business innovation and your demonstration via jazz were a hit with our audience. We heard positive comments about your presentation for the rest of the week. And thank you for leading the discussion at our Executive Briefing. I know our learning executives appreciated a chance to discuss how their world is changing and how they can help the process." 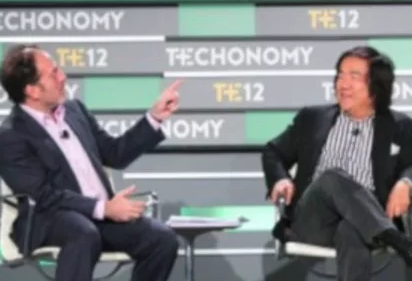 “If Orson Welles and Peter Drucker were somehow to mate, the result would be something like John Kao, a serial innovator"